Puerto Rico has become a popular destination for medical tourism, thanks to our highly qualified medical staff and the wide range of services offered locally. The Island now represents a convenient and economical alternative for patients from the United States and abroad with high medical deductibles and with limited access to qualified health providers in their region, looking for the best possible care within their budget. If you are looking for a health care alternative in a place full of human warmth, San Cristóbal can help. Contact us today to learn about our offerings, explore treatment options, travel arrangements and how to get started. 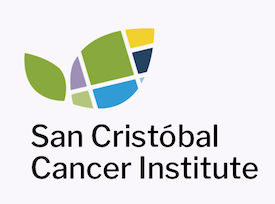 San Cristóbal Cancer Institute is located in the south, and boasts the support of the powerful San Cristóbal network, available to local and visiting patients. The cancer institute is only 7 minutes away from Mercedita International Airport, and 90 minutes from Luis Muñoz Marín International Airport. US citizens with a valid ID can enter or exit Puerto Rico without a passport, as it is a US Territory and considered domestic travel. You will only need a valid driver’s license, just like you would to enter any other state. Patients can benefit from up to 64% savings on diagnosis and treatment (including travel and lodging expenses) when cared for in Puerto Rico, compared to the prohibitive health care costs in other states (especially for out-of-pocket patients). Our medical faculty is duly accredited with the same rigor of the best medical faculties in the United States. Our cancer care center is only 3.5 miles (5.6 km) from the Mercedita International Airport in Ponce, PR (see on Google Maps). For family members and caregivers, there is a variety of inexpensive hotels near our facilities (see recommendations on Google). También hay información sobre Turismo Médico disponible en Español.